My 21st birthday - Can we drink on the party bus? I knew I wanted to have a party bus on my 21st birthday, no question about it. I wanted to bar hop to as many places as I could, and I wanted the entire time to be Lit. St Louis Party Bus has this 24 passenger limo bus, and as soon as I saw it, I was like "I'll take it" lol. Yes, Missouri law allows you and you friends to bring and consume alcohol in a vehicle when it's a limo or party bus, BUT everyone must be legal. They take this crazy serious too, so just make sure everyone you invite is at least 21 as well. I reserved my session for a Saturday night (my actual birthday was on a Wednesday). We all met up in downtown St Louis at Union Station and had dinner at that Hard Rock Cafe. One thing I like most about St Louis Party Bus Rental is how their driver always kept in touch with me. We worked together so as soon as we were leaving the restaurant, the bus was pulling up to take us on the night's adventure. Inside of the party bus we the Shiii. 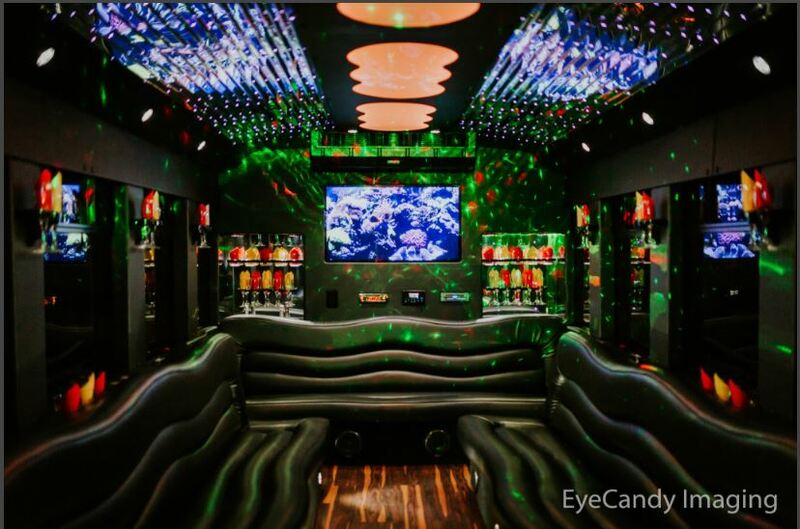 The laser lights made the bus look like a small night club inside. We were able to play our music because the stereo was Bluetooth, so it was literally like the party never stopped. We went to bars, casinos, more bars, picked up some strays, lol. My birthday was great - lots of laughs and LOTS of photos. St Louis Party Bus Rental went the extra mile to help keep the rolling on without interruption - always ready when we wanted to go someplace new and no vehicle problems (which is a bonus most people don't think about).